If more than one version of the software is listed, please ensure you choose the most recent version. Your software will be available for download until the end of your subscription period. Click to download the zip, and save it to a location of your choice. Do NOT unzip the file after download. 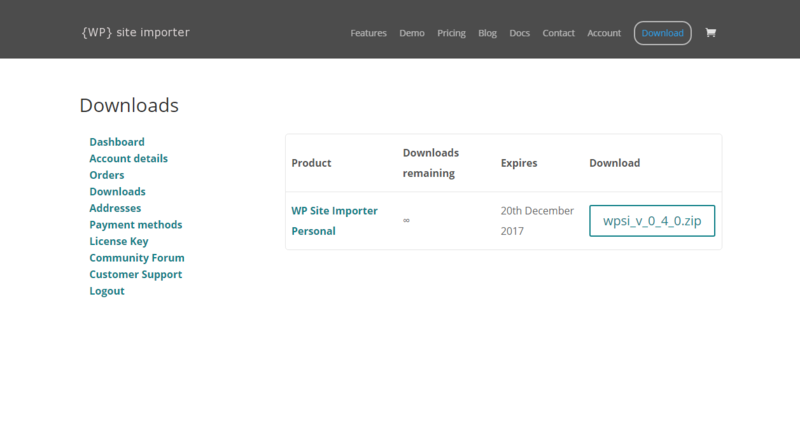 Once downloaded, proceed to install and activate the software in WordPress.